I’ve written about our Saint Bernard Joe before – his “almost” brush with fame when he was auditioned for a movie. Well sadly, we lost him last week. It’s always sad to lose a pet – a dog or a cat has such a short lifespan compared with ours, and yet they become such an important part of our lives, sometimes even more so than people, because we typically have dozens of interactions with them every day. But I can have comfort that we gave him a good life. Joe was a rescue. During the worst part of the recession, his original owner had to give him up because he couldn’t afford to care for him. He was about four at the time and had a lot of medical issues – expensive medical issues. But Saints make wonderful pets. We’d had one before and we could tell that he would make a great pet for us. And he was a great dog – he was calm and patient, got along great with our cats, rarely barked, had perfect house manners, and was very intelligent and obedient. His original owner had taught him not to bark much, so if he wanted a treat, he would say “woof“, then we’d say what? and he’s say “woof“, and we’d say what? and he’d finally say WOOF. He lived until age 9, which is pretty old for a giant breed, but unfortunately, this breed is subject to something called “bloat”. It’s an awful thing that kills a lot of deep chested breeds. Their stomach gets twisted somehow and if they don’t die immediately from the pain and shock of it, it takes major surgery to save their lives. With a 9 year old dog, it was a tough decision, but I couldn’t see putting a dog this old through such major abdominal surgery to get another year or two out of them. Plus it would have cost thousands. I’ve got a kid going to college next year and I can’t tell him we can’t afford his tuition because we spent it all on vet bills. Our first Saint, Sasha died from bloat as well. 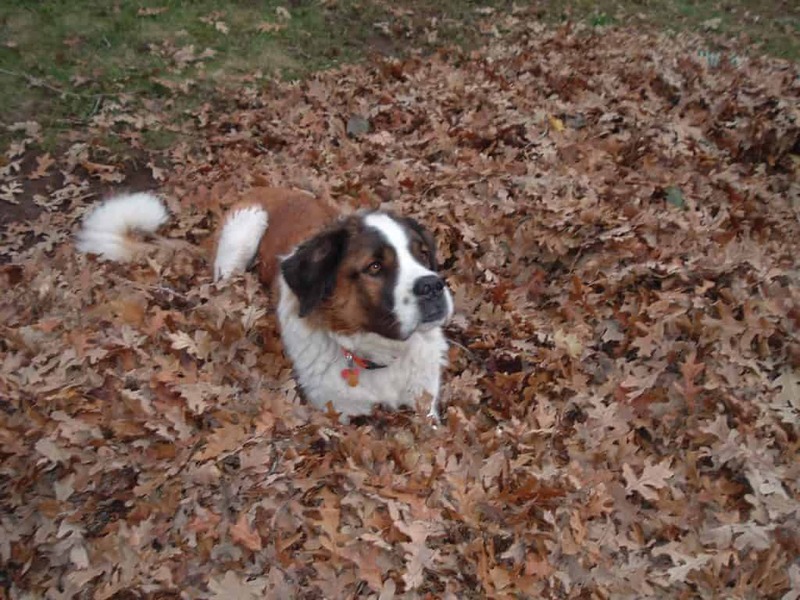 She was 7 years old and we had gotten her when I was 7 months pregnant with my youngest son – which is a terrible time to get a new puppy, especially an enormous breed like a Saint Bernard. She was really gentle with him, but she did accidentally roll over on him a time or two. But she turned out to be an amazing pet for him once he got a little bigger. She was so cute – she would try to wrap her whole body around me for a doggy hug. Joe was more of a leaner – he come up and just lean against you until you were supporting half of his considerable weight. Sasha had some major medical issues too – she had ACL tears in her knees twice and we spent more than $3,000 on getting her knees fixed, only to lose her 18 months later. But my husband has a thing for gigantic dogs – if he had his way, we’d have a Great Dane, a Mastiff, AND an Irish Wolfhound. Probably the smallest dog we’ve ever had was a Lab. I’d just like to have a dog that fits in my car for once. But I think we’re going to be done with dogs for a while – big OR little. It’s just too tough when you lose them. Hugs to you, Adrian. I lost my almost 12 year old bichon to a coyote attack last year and I still miss her like crazy. We love them so much, and they really are members of the family! Awwww, it is hard when you lose them. I saw a picture of a St. Bernard puppy on Pinterest today and it made me sad. They are such awesome dogs. So sorry about your dog. I lost my Minnie recently, and it’s been three months. I am linking to you tomorrow. Happy holidays. I’m so sorry to hear about your loss Adrian. Losing a fur baby is always so hard. Joe sure was a cutie!! We love St. Bernards. Thanks so much Sydney. 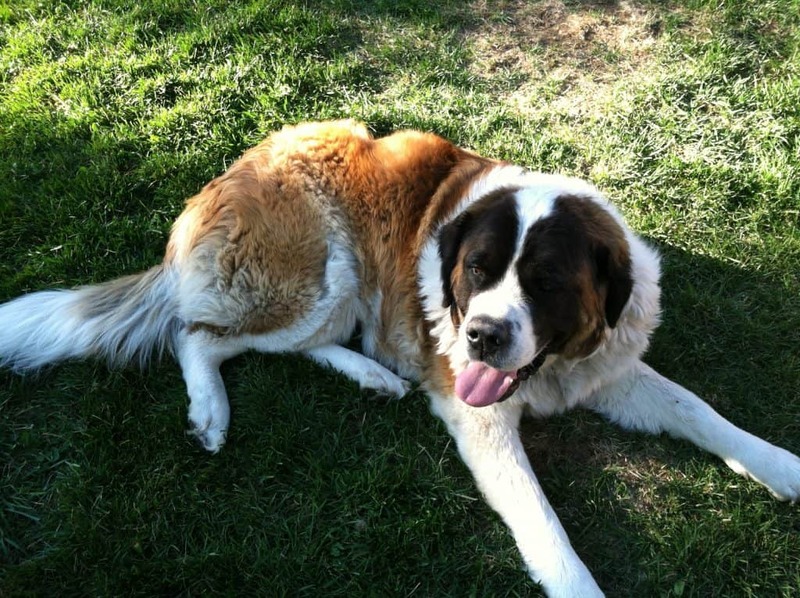 It is hard and yes St. Bernards are terrific dogs. We’re definitely missing him.